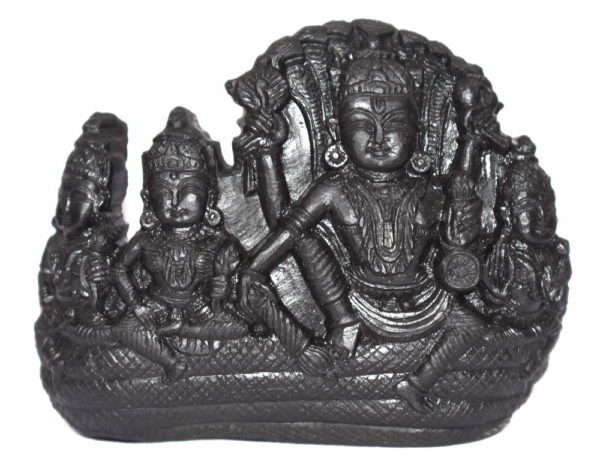 In This idol Lord Narayana was seated under hoods of serpant Sheshnaga with goddess Sridevi on right side and Goddess Bhudevi and Neeladevi on left side . Devi Lakshmi Manifests as two seprate goddesses Sri devi : Alternate name of Goddess Laxmi denotes energy and Bhu devi : Goddess of Earth represent Fertility . 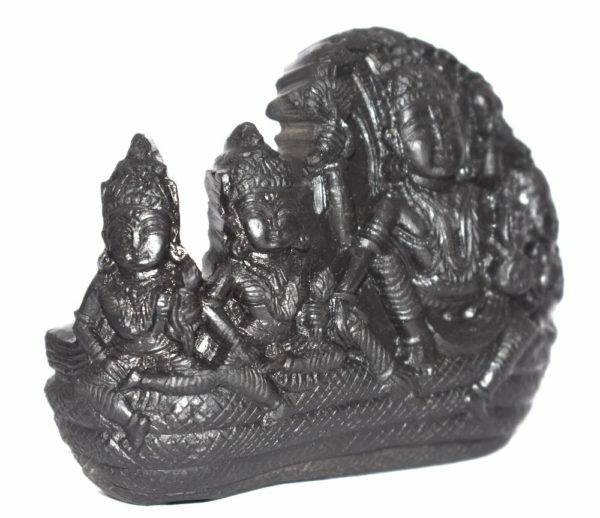 Both the Goddesses are depicted similarly signifying that lord vishnu hold equal affection for both. Nila Devi (Neela Devi) is the third consort of Lord Vishnu, the other two being Sri Devi and Bhu Devi. In Paramapadam (Sri Vaikuntham) Sri Devi is seated to the right of the Lord, and Bhu Devi and Nila Devi to His left. 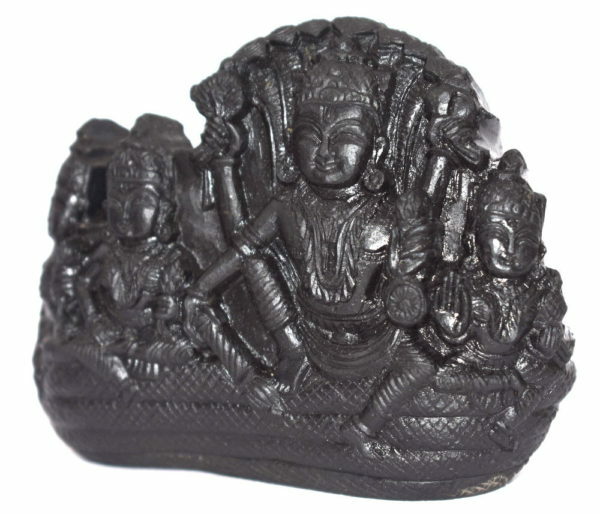 Bhu Devi (Bhumi Devi / Goddess Of Earth) is to Varaha avatara , Sri Devi (Sita) is to Rama avatara, and Neela devi to Krishna avatara.